If Rheostatics decided to end their career tonight it would have been a fitting tribute. Not to reduce the build up of the preceding three days but tonight was a night of redemption. After an amazing show Saturday night with some special moments at the end that most would never know occurred, the rheos came out tonight and played the best night of the 4 day GO7 run. GO7 was followed by Bad Time To Be Poor with Hugh Marsh on violin and Don on Cello, and impromptu version of Green Sprouts. Stolen Car, Legal Age Life, a redemptive Christopher and then a 2nd encore of Claire an Horses closed the 4 night run of rheos magic time machine glory at the AGO. Thank You AGO for doing this!! After that, around 12:30AM the band reconvened at The Monarch Tavern to play what was without a doubt the ending true fans were hoping for'''a sloppy, magnificent set of hot bar room rheos songs that if it had to be the end was exactly the way they should go out. Song of Flight led into The Ballad Of Wendel Clark Part 2 and Bridge Came Tumbling Down. After sorting out the monitor kinks they went into Soul Glue and then brought me up on stage to thank me for all the Rheos work I've done to a shot of tequila. It was a moment I wished I was more sober for but very, very sincerely appreciated. I have no idea what they said about me but it felt great. They then brought up some guest musicians. Kevin Hearn took them through I'm Waiting For My Man, Ring Of Fire, Monkeybird, and Lou Reed's Down at the Arcade. Magnanimous stuff. Northern Wish was absolutely slayed by Terra Lightfoot, and then Mike O'Brien did the same with We Went West. Selina Martin killed Dope Fiends and Mary Margaret O'Hara singing RDA...I can't remember after that. I took some video but I have no idea if it worked. I met some amazing people this weekend - thank you to all of you for saying Hi and for your thanks. It means everything to know that you are all out there and appreciate the contributions of so may people. Robin Clarkson, Morgan LeFaye Narkiewicz, Joann McNamara, Bob Main, Noah Campbell, Candice Levine, Liane Van Dompseler Buitenhuis , Jody Lainson, Eric Mac Innis, Jaime Lynn MacInnis, Shreve Laframenta, Shannon Whibbs, Rob Lawson, Michael Blanck, Vicki Charal, Jeff Robson and so many others you made my weekend. So thank you all. It was 1000% better than I ever would have imagined. Hugh Marsh, Kevin Hearn, Michael Wojewoda, Don Kerr, Dave Bidini, Tim Vesely, Martin Tielli, Tim Mech, Shauna de Cartier and Chris Peters thank you for indulging my ear many late nights. It was a pleasure speaking and hanging out with all of you. You are all amazing people. 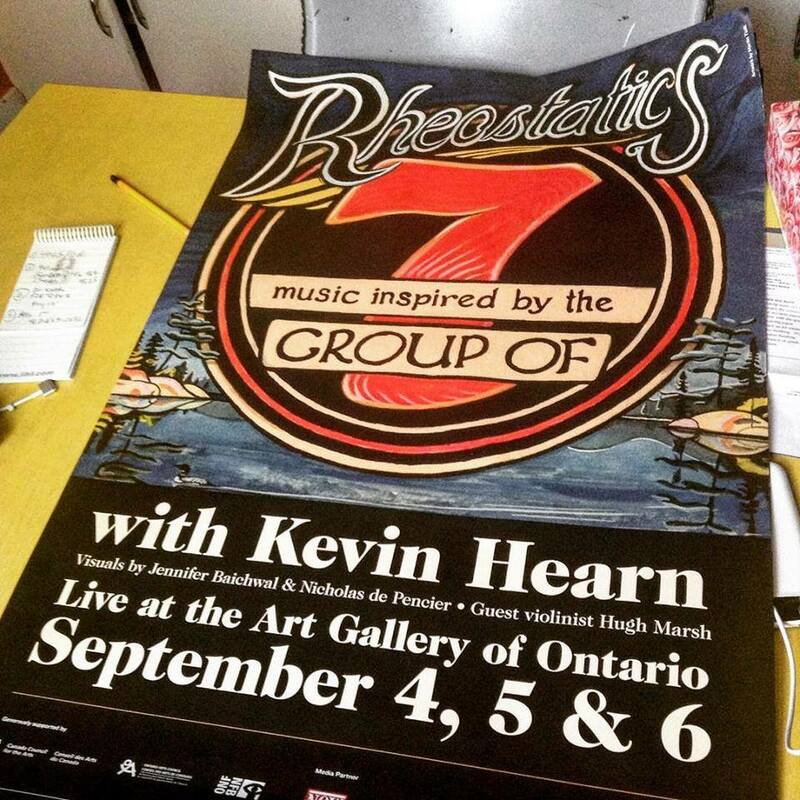 It was a phenomenal weekend that fans will never forget - thank you Rheostatics for enriching our lives. "Meanwhile in the forest In a parliament of trees, The ink will crack and dry all up, But the compass will swing anyways. And we don't need mathematics And we don't need submarines To tell how far that the land does go... Till it hits the shore."